The third and final part of the ‘Stream Of Consciousness’ series, this outing is another fantastic voyage – this time to the far reaches of inner space! As ever an exercise in touching all the bases without breaking the flow and keeping proceedings (close) to sixty minutes – ‘Aural Orienteering’ if you will – some of these tunes are current favourites and present a fair synopsis of my most recent DJ gigs, but the last two have been on heavy rotation in the homestead for a good couple of years. 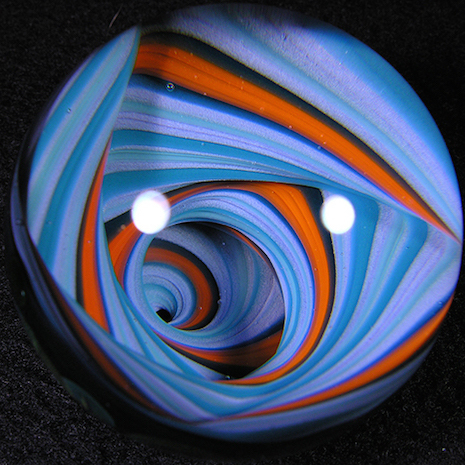 The image is a glass marble by auteur Mike Gong from a piece on the Dangerous Minds website entitled ‘Acid Eater’: Incredible, Ultra-Psychedelic Marbles. Check them out, they’re truly mind-expanding! Me.